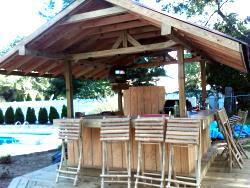 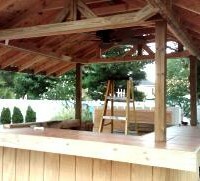 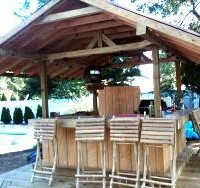 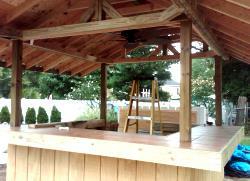 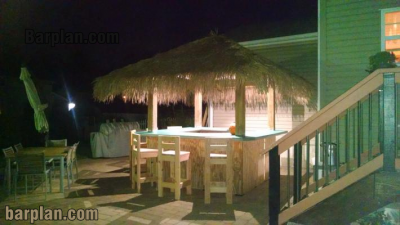 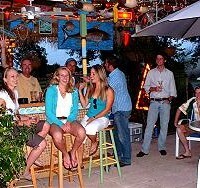 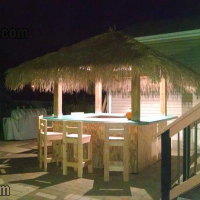 Backyard Tropical Paradise - The Party Hut Outdoor Tiki / Gazebo Bar Project. 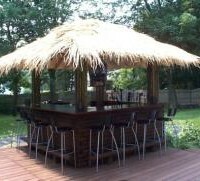 This outdoor party bar is designed to keep sun and rain off your bar. 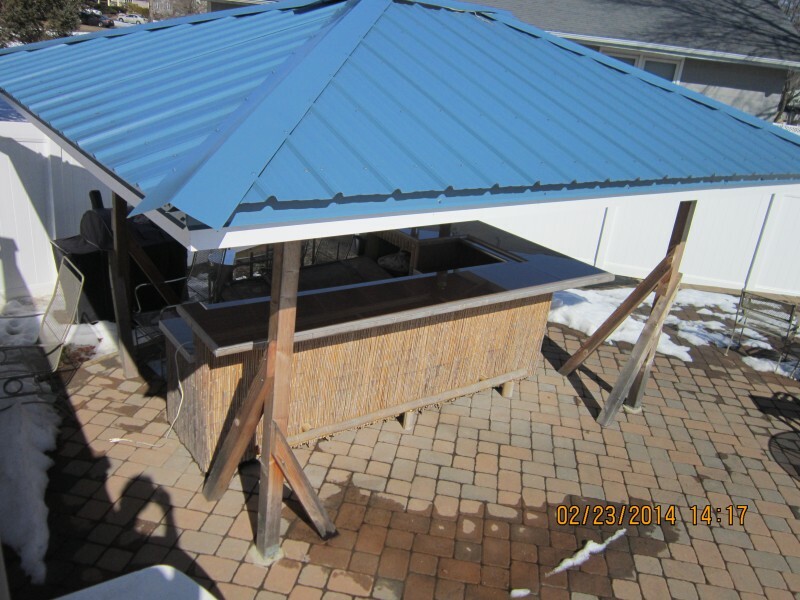 Extended roof provides more protection for your patrons. 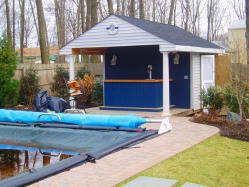 The project can be built a variety of ways using several different foundation types. 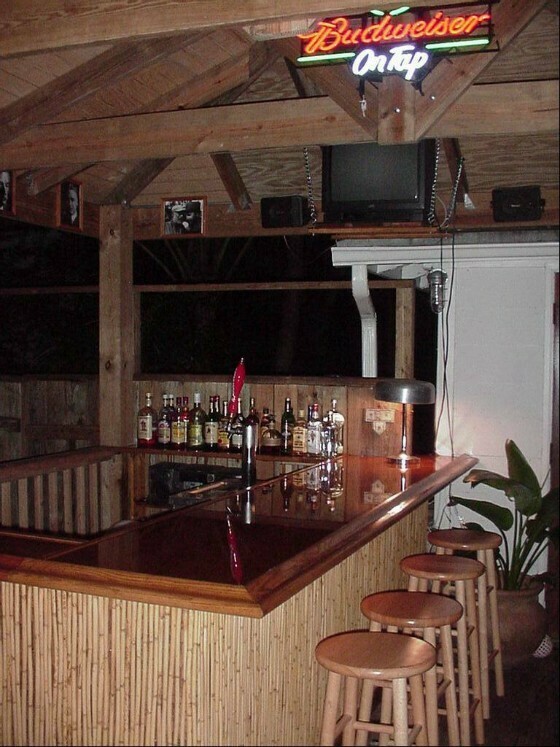 It can be retrofitted to existing decks, placed standalone or on a concrete slab. 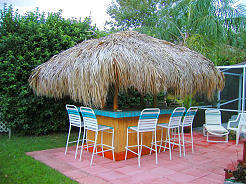 The roof can be built as a simple gabled roof style as shown at left or easily modified as a Hip or Pyramid Hip roof style shown in the photo below. 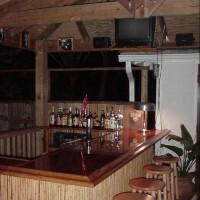 More sample photos at the bottom of this page. 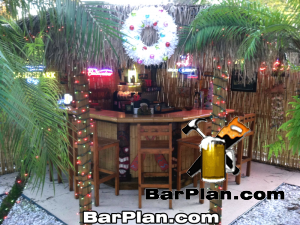 Optional shutters protect your bar when it is closed or for winter storage. 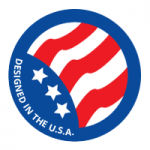 Easily expandable design. 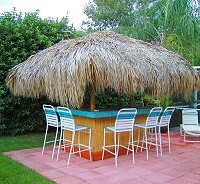 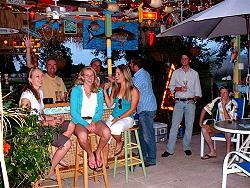 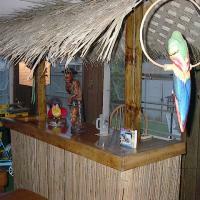 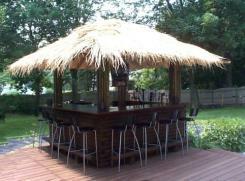 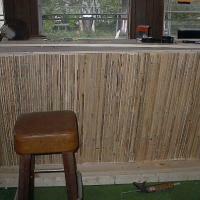 Check out the Tiki Bar Styles Page to find tiki thatch materials and decorations. 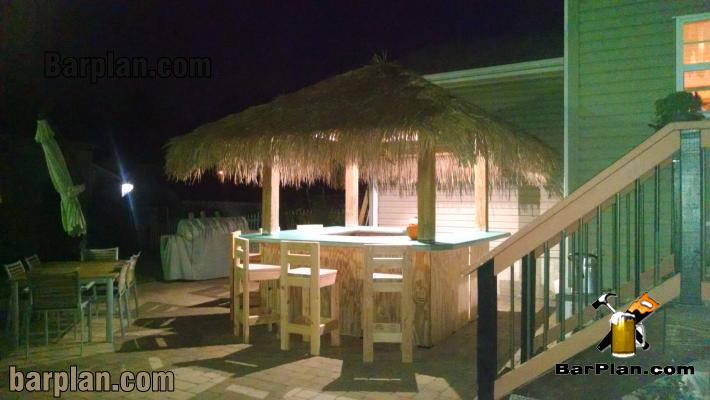 Estimated cost to build: ~$500+ varies depending upon configuration and materials. 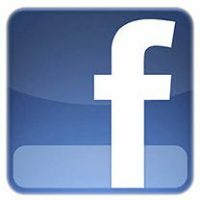 variable depending upon selections. 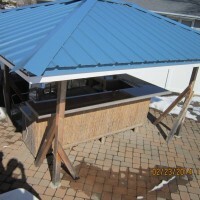 All weather Usage: Designed to be useful winter, spring, summer & fall, this easy to build outdoor shelter will protect your party from sun and rain. 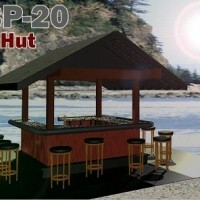 Party Hut Bars Built by YOU! 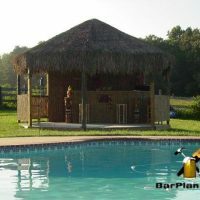 WARNING: This bar and hut project requires a solid foundation to prevent the bar from being damaged or causing collateral damage in the event of high winds. 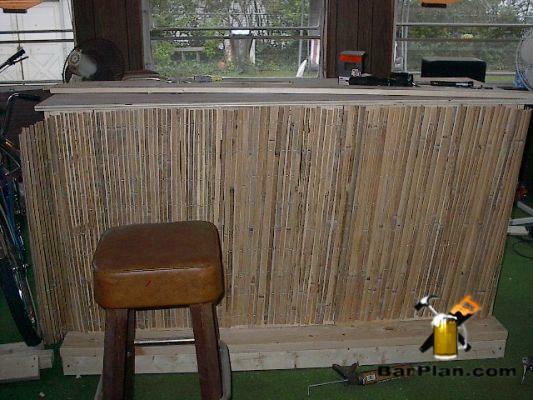 Always check your local building codes and restrictions before attempting construction. 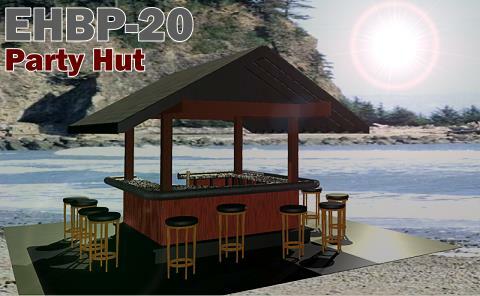 Plans include foundation suggestions, 3D assembly drawings and construction tips to guide your project. 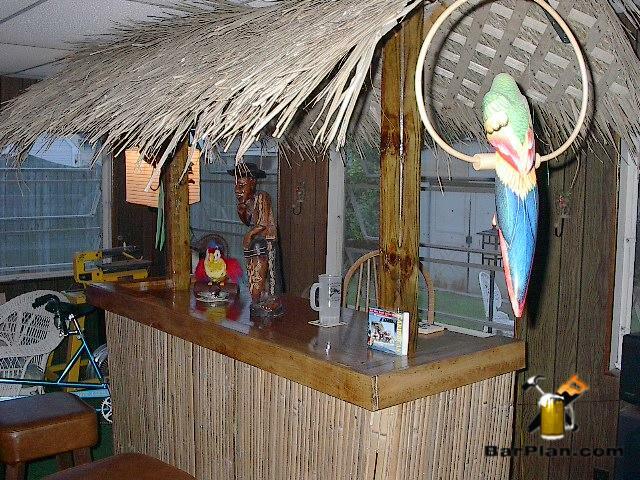 Building permit may be required in your area. 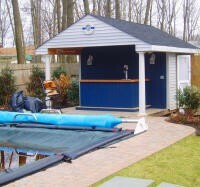 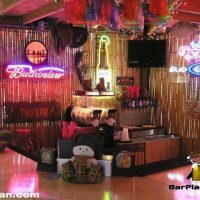 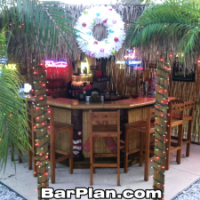 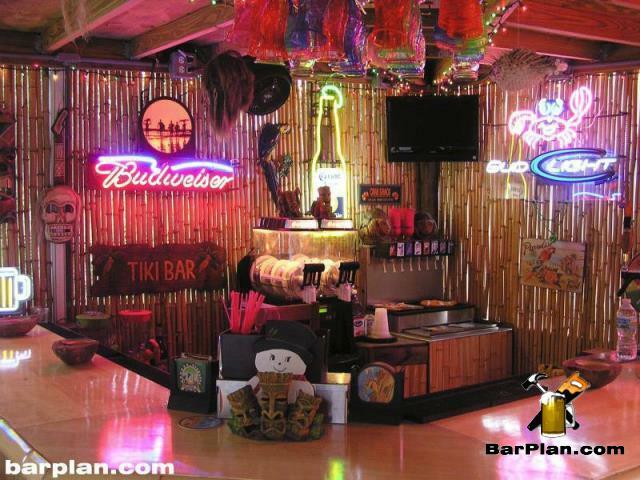 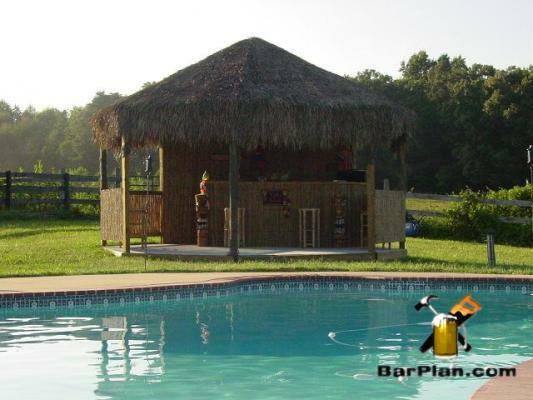 Barplan.com is not responsible for any damages resulting from the use or installation of any of our home bar designs.